The Weekly Photo Challenge this week is “create”. There is so much we can create nowadays especially thanks to rapid advances in technology. During our drive up North, I snapped this photo out the window of our car with my iPhone and processed it instantly in Filter Mania to create this interesting picture. Don’t worry… Fall isn’t here for another three months! To see more entries click here. Not really! 🙂 I’ve got a lot of energy and motivation! Thanks! I’m having lots of fun with my iPhone and all the photography apps! So many fun things you can do to change a picture! Cool! Thanks! I am having a lot of fun with Filter Mania and my iPhone. It is so easy to snap away and process the photos right there at the touch of your fingertips! It IS fantastic. 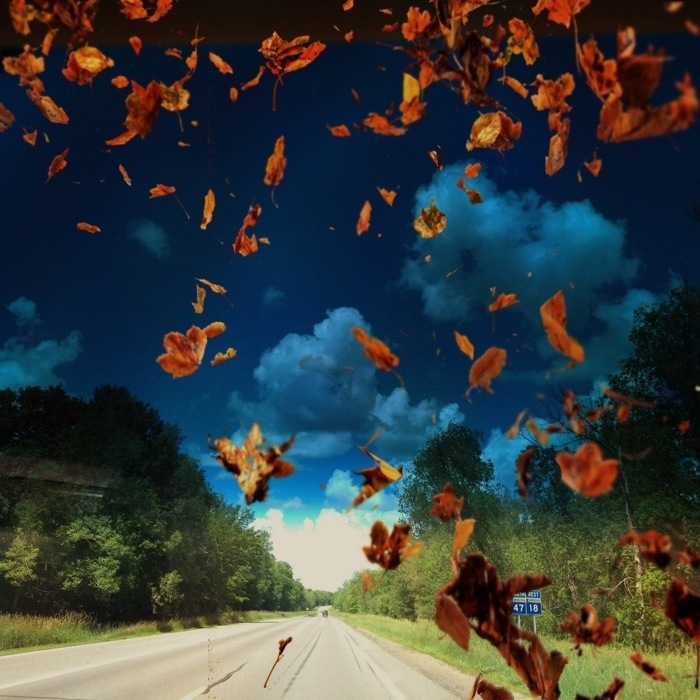 What blew the leaves up like that…the car ??? Ha Ha! I found this new app on my iPhone recommended by another blogger and it is so cool! I’ve just started playing around with it but it is a lot of fun! I love creating pictures. I’m a beginner but I can’t wait to learn more!